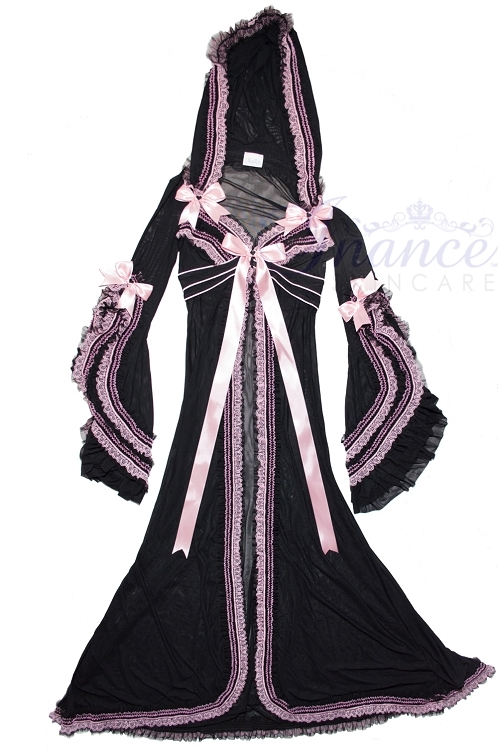 The luxurious Palm Beach Fancy Long Robe will have her feeling like a lady from top to bottom. With ruffles on the bust, the sleeves, the neckline, and the hemline, she'll be feeling frilly. The robe has gathered sleeves and is fitted at the bust line to flatter her figure, making her look long and lean. Satin bows embellished with embroidered hearts adorn this robe. 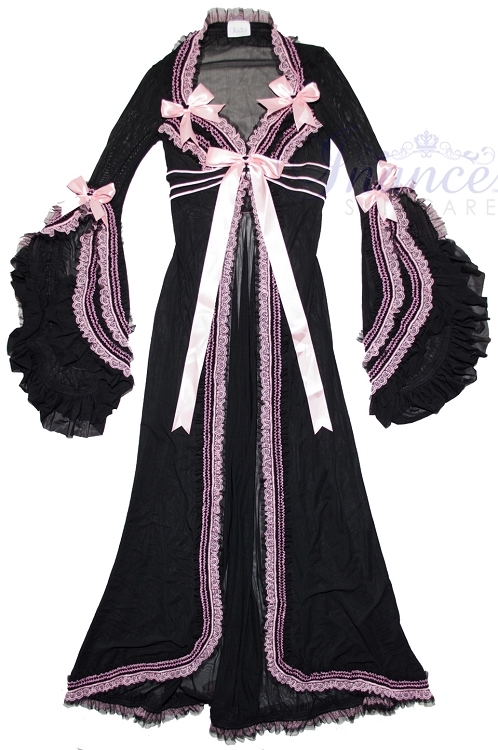 It has a front hook and eye closure at the bust camouflaged by ruffles and a satin bow.